We often debate about “which is the most physically demanding sport in the world” and different people consider different criterias and characteristics in the argument. Some of the sports rely heavily on edurance and strength while others depend on speed, flexibility and some require more Muscular Strength and Power than others. So today we take a look at some of the most difficult sports in general based on key physical requirements. Anyone who ever swim knows how demanding it can be on the body and when we talk about top olympian swimmers they work so hard on their fitness to be able to achieve such great results. 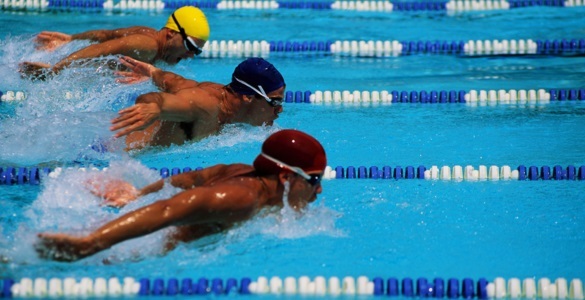 There is not a single moment, during proffesional Swimming, when athletes body rest while in active competition. Swimmer’s lower body (legs) and upper body (Arma, shoulder) are constantly active to produce motion in water and it requires greater cardiovascular endurance to achieve professional level making Swimming one the hardest professional sport in the world. Although compared to some of the highly demanding ground-based sport Swimming lose out due to less stress on “musculoskeletal system”. It requires less muscular strength and power but great endurance and reflexes. You might think that interval nature of this sport makes it less physically demanding for athletes as they have time to recuperate energy but in reality its the other way around. Top level tennis requires short-burst of all energy a tennis player can produce which comes in form of quick accelerating sprints/stops, transitional movment across the court and of course hitting the ball with power and precision all these require greater strength, reflexes and controlled power. French open takes place every year in summer under the burning sun of june and matches between top seeds can take more than 3 hours which takes alot out of the body. 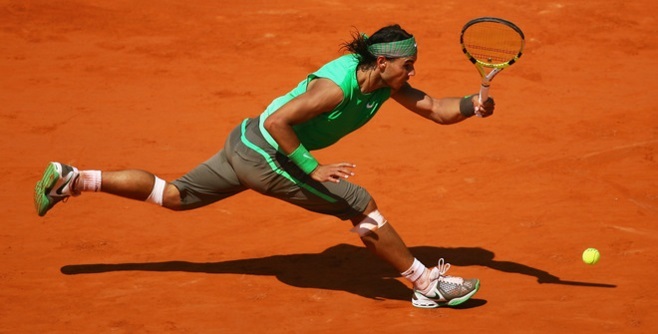 Rafael Nadal has won 9 French Open titles in last 10 years and thats alot down to his ability to endure and produce energy for longer period of time which other tennis stars lack. 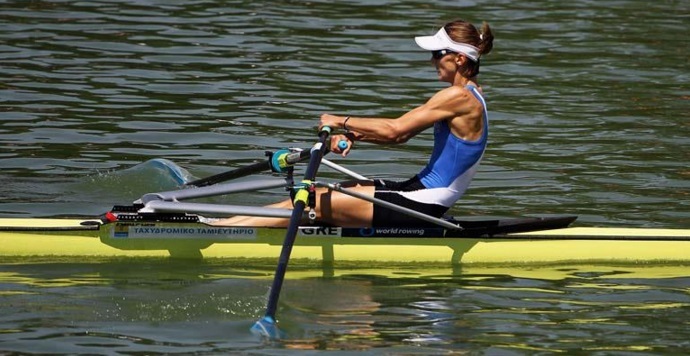 Rowing is one of the hardest sport in the world and it requires control, technique and most importantly raw power generated through constant leg drive to upper body and back strength for a longer period of time. In terms of muscular strength and power it is one of the most demanding sport and combine that with longer race where increasing fatigue level can have a toll on athlete’s body and mental toughness. The first team sport in the list, Basketball requires greater high intensity burst with quick movement including accelerations and most importantly vertical jumping. Top Basketball players rely heavily on their ability of speed and quickness combine with overall durability of endurance and muscle strength/power require to produce those running and vertical jumps throughout the game. Although like tennis, Basketball also have alot of time where players can recuperate energy but since its a lot short court where play is moving from one end to another in matter of seconds players are in constant movement across the court and battle for better positioning. By far the most popular sport in the world and there is hardly anyone in the world who has not kicked a ball in their life. Football at top level can be extremely “physically demanding”. Mainly it requires greater ability to quickly accelerate to top speed and than top stop in split second to change the direction while dribbling with the ball. Normal football ground is around 100 yards in length and 50 hards in width and play is moved from one side to the other constantly throughout the game. Of course there are different kind of players in the team lineups and they require different roles. For example full backs might told strategically to move forward from defense to attack when team has the ball and return in defense when team is without the ball this position requires speed and stamina while strikers and midfielders are always looking for ball running with and without the ball at all times. Sometime managers bring in high intensity style of football where players often travel as much as 115 km per match. Not the most renowned sport in the world but certainly one of the oldest sport around. 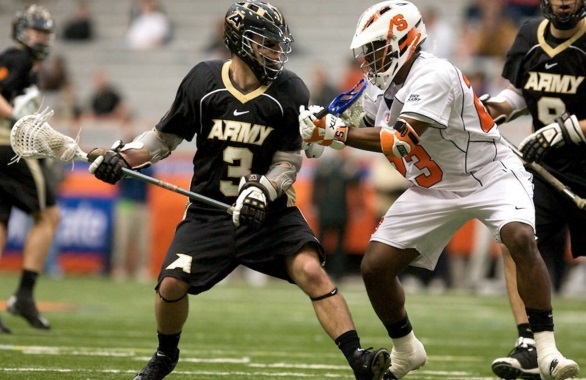 It requires two teams competing with lacrosse stick and a small rubber ball (football/rugby) but players use special sticks to move the ball across the long pitch. It is widely regarded as one of the rough sports in the world and require alot of demanding physical attributes like muscle strength, raw power, stamina and endurance but it can be a contact sport as well in that case players need to go through constant whacks, physical fights to get hold of lose balls making it one of the most physically demanding games you will ever see. People might underestimate strength and physical demands required for top level ICE hockey players. Spending 1 hour standing on steel blade including quick starts, stops, quick change in directions and constantly on the move for best part of 1 hour makes it one of the most difficult sport not only to master by takes alot out of the body. 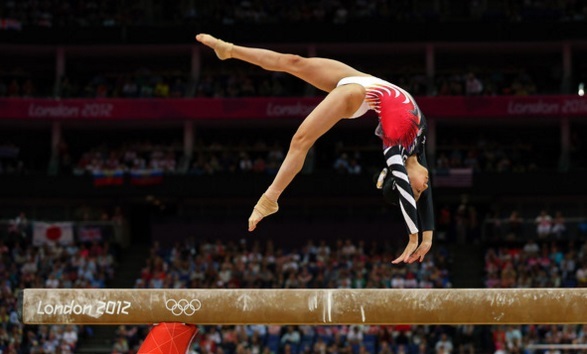 Gymnastics has many forms when it comes to Olympic games and all of them require greater physical fitness and reflexes combine with balance and mental strength like focus to endure difficult body maneuver with grace and control. Unlike the myth that Gymnastic is easy or its pretty similar to cheerleading is misleading cruel for professional gymnastic athletes. They put alot more effort into training than people give them credit. Although in my opinion Gymnastic athletes are born with the skill and body required for olympics level in this sport but they have to go through intense training not only to master skill but keep in absolute fit shape. Another contact sport which require greater physical challenge of strength, brute power and ability to endure knocks and whacks for best part of 80 minutes. 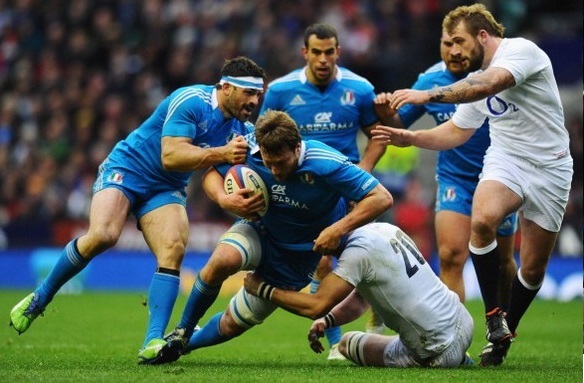 Professional rugby at elite level (Rugby world cup) don’t have weight divisions which means only the strongest, heavier but still quick athletes can be successful professional rugby players. The first fight sport in the list, Top Martial Arts (AKA MMA) athletes comes with alot of fighting and wrestling style backgrounds and it is one of the most demanding sport and certainly the most dangerous in the world. Unlike some other fight sport MMA has pretty much free style fighting including many standing striking, grappling and ofcourse ground based grappling. It requires full body strength, un-matched conditioning/fitness levels to ensure fast reflexes, speed and combine that was brute power require to strike opponent makes it one of the hardest sport in the world. Wrestling is pretty much like MMA, only harder. Unlike some of the other team/individual sports where intervals play a part for athlete to get some rest/energy but Wrestling/MMA are non-stop one of one action as soon as fighters enter the ring, they need strenght/power, top speed reflexes, greater endurance/stamina and overall durability. Boxing is the most physically demanding sport in the world by a mile. According to several studies about “science of muscles and movement” expert label boxing as the most demanding sport for an athlete. When we talk about elite boxing the Mayweather’s and the Ali’s of this world these athletes are physically the fittest in the whole world. Boxing is a test of strength, power, endurance and the overall ability of boxer to withstand punishment for a longer period of time. To be in a 12 round top level boxing match athlete has to be in tip-top shape work not only on his boxing skills but on all round physical attributes months before the fight. Top level boxers organize 3 to 4 months training camps for a 36 minute fight which require bit of every thing from a fighter. Figure skating is the hardest sport. This sport requires a lot more time than many other sports (though I do respect that pretty much every sport requires time). Most figure skaters are young and attend school. However, many also choose to home school to get enough time in on this sport. The earliest I have ever had to wake up in the morning for figure skating was 3:30 am. Granted, I live further from the rink than most of the others, but the idea is that you have enough time to warm up before stepping on the ice at 5 am (at least, that’s when my rink opens). Figure skating requires an extreme amount of stamina. At the Olympic level, a routine lasts around 4 minutes and 30 seconds. In order to be able to pull this off, one must have incredible strength and stamina. From my own experience, lactic acid burn starts usually about 20 to 30 seconds in, and it burns. Part of training is building up a tolerance to this pain. All summer long, we have interval stroking where we gradually build up some sort of tolerance to the lactic acid burn. The best thing I can compare this pain to is running for four minutes without changing pace. In fact, I challenge any athlete who reads this to run 4 minutes and 30 seconds, without slowing down (and don’t jog, run), with a smile on your face the entire time. It’s definitely harder than you would think. I would also like to talk about the off ice training. In order to be a decent skater, not even exceptionally skilled, you have to train off ice. This includes an intense crossfit (workout) class at least once a week, off ice stretching, off ice jumping, balancing exercises, and much more. Many techniques are perfected off of the ice through hours upon hours of training. I go to Let It Shine (gymnastics place) to train jumping. Watching the gymnasts has actually taught me a lot of what I know about skating and jumping. Figure skating also requires flexibility. I’ve never seen a skater who didn’t put the work into her flexibility make it very far. It takes years to develop proper jumping technique as well as spinning. The precision required to execute a perfect jump is incredibly intense. If you’re off by a few inches, you can end your entire career, not only as a figure skater but also as an athlete in general (I’ve personally seen this happen twice). Over use injuries are not just common in figure skating; they’re inevitable. I’ve already had three stress fractures, I have tendinitis flares, and I have had shin splits. This is also a very dangerous sport (I’m not saying that other sports are dangerous; with physical activity comes danger and risk of injury or death). I’ve seen a skater have a bad fall. He’s permanently paralyzed from the waist down. My coach has had 3 skating related concussions. I would like to end this incredibly long comment with this: figure skating is not only physically demanding, it’s mentally demanding as well. Sayers often have to choose between their sport and, well, everything else they could have. Many wake up at 4:30 (some, such as myself, as I’ve mentioned, even wake up earlier). They skate before school, they attend school, and then they skate after for as long as six hours. Skaters do not get time to themselves (for the most part). We often get home and break down into tears for no reason other than to let out all the mental pain we put on ourselves to do what we do. But, in the end, we stick with figure skating because it’s what we love. I totally agree because I am a figure skating. There is a lot of dedication and it’s pretty hard. As a figure skater, I agree with you the sport should be on this list. However, as someone who has played numerous sports as well, this entire list is not accurate and has not taken all sports into consideration. Water polo for eg. is harder than swimming because it requires not only everything that swimming does, but many other skills as well. The fact that cycling is mentioned without specifying which type, while being very specific about the type of skating/skiing/fighting /etc. shows inconsistency.